Many birds, birdwatching hides, a big birdwatching tower and hot coffee: Škocjan bay in Slovenia has everything a birder wants and more. Like most accessible places around the Adriatic sea, the Slovenian coast is pretty much build up. There are a few exceptions, and these are among the pearls of Slovenian nature. If you should count Škocjan bay (Škocjanski zatok) among these, depends on opinion. This is not so much caused by how the area looks. Rather, it depends on your definition of “nature”. The Škocjan bay is, as it looks now, mostly man-made. It used to be a natural wetland of – no doubt- international importance. Then, it was used as an illegal dump-site for sand and all kinds of garbage. Local birders remembered how it used to be. They could not leave it like that. I am not familiar with all details, but I am sure that it took a lot of hard work and talking to a great many people to turn the tide. 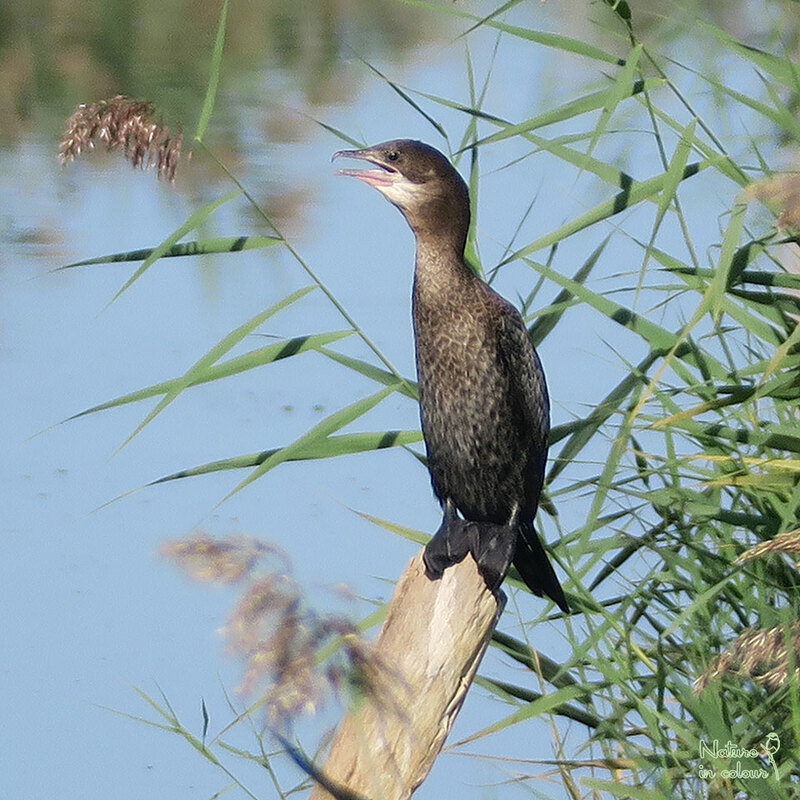 And with success: the area is once more among the best bird areas in Slovenia. The Škocjan bay is squeezed in between the highway and Koper Harbour. It is easy to find, just take the highway exit to Bertoli and go to the direction of the sea. On the left, you see a wooden building, that’s it. It has a big parking (oh boy, why did they have to plant exotic Passion flowers there?). The building itself is a visitors centre, an office, a lookout point and a bar all in one. Go there, it’s worth it. Right through the window, you may see Little Bitterns and Purple Herons flying by. Both species nest in the reeds, close to the building. And keep in mind that in order to stand behind the tap here, you have to be a hard-core birder as well. So if anyone can tell which birds to see, it is the “bartenders”. Aren’t bartenders picking up the latest gossip anywhere? Only here it is about bird-species! Well, the area is actually not easy to access at all. In fact, it is closed to the public. Almost. The one exception is a gravel path which leads all around the eastern half of the area. 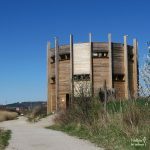 Along this path, you find those birdwatching hides and the tower. The path is entirely level, which makes this one of the most wheelchair-accessible areas in Slovenia. From the viewpoints, you can see much of the area, and here you will be mostly with fellow naturalists. You have to share the path with others though. The area has become pretty popular with joggers: it is one of the very few places where you can run outside the city of Koper. This is no problem for the birds: most are pretty much used to the fact that humans keep to the path. Škocjan bay is a lowland area on a nutrient-rich soil. Such areas have a natural tendency to revert into forest of one kind or another. The vegetation can stay open if either there are “catastrophic events” like flooding and storms, or if animals graze on the plants. Open areas, with shallow water and reedbeds, are highly attractive for birds. The bay is nowadays in a sheltered place. Therefore, the managers decided to help a bit to maintain an open landscape. They periodically mow part of the reedbeds and keep cattle and horses for grazing. They choose breeds which were selected under similar condtions. The horses are of the Camarque breed, sometimes there is also a Slovenian Lippizaner with them. It is the cattle which are most special though. They are Istrian cattle, the Boškarin. This is an ancient breed, related to the Hungarian White (Puszta) cattle. In the past, these were working cattle, selectively bred to plow fields and pull carts. In Škocjan bay they are again working: their job is to graze the open area. Open areas with shallow water, like Škocjan bay, are super attractive for waterbirds. Here, you can see a variety of herons and egrets: Grey and Purple Heron, Great and Little Egret, Cattle Egret and Little Bittern are all regularly there. 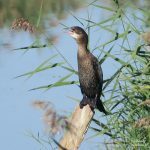 Usually, there are at least some Cormorants and the bay is the only place in Slovenia with long-staying Pygmy Cormorants. Zou will see a variety of ducks: Mallards are most numerous, in autumn and winter there can be large numbers of Garganey, Teal and Shoveler. In migration time, smaller numbers of many wader species turn up and it is not unusual to see Black Ibis in the area. Anytime, you’ll likely hear Cetti’s Warblers from the reedbeds: they are just one of several interesting songbirds which breed in Škocjan bay. When you visit the area on a sunny day, you will, without doubt, see frogs and lizards along the part. 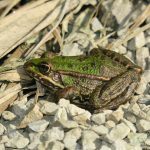 Indeed, Škocjan bay is one of the more interesting places for amphibians and reptiles along the Slovenian coast. There are especially many Marsh Frogs. Experienced herpers may pick up the sound of Treefrogs. Almost invisible are strong populations of Smooth Newt and Italian Crested Newt. The common lizards in the area are Italian Wall Lizards, which are well adapted to live alongside humans. There are also a few Common Wall Lizards in the area, which belong to a Mediterranean subspecies. You may see snakes as well: both the harmless Grass Snake and Dice Snake occur in good numbers. When I describe the reptiles of the area, I should not forget to mention American Red-eared Sliders. They were released by pet-owners and are reproducing in the area. Efforts to reduce their numbers don’t seem to have the desired effect until now. This is a pity, because they may well compete with the last European Pond Terrapins in Škocjan bay. Along the part, there are numerous small fish in small pools and ditches. They are Eastern Mosquitofish, another American species. They were originally brought to the Slovenian coast to fight Mosquito’s. Back then, Malaria was a major problem along the Adriatic sea. Nowadays, Malaria no longer occurs in the area, and the Mosquitofish are seen with mixed feelings. They compete with native Mediterranean Toothcarp, which are, by the way, equally effective at eating mosquito larvae. 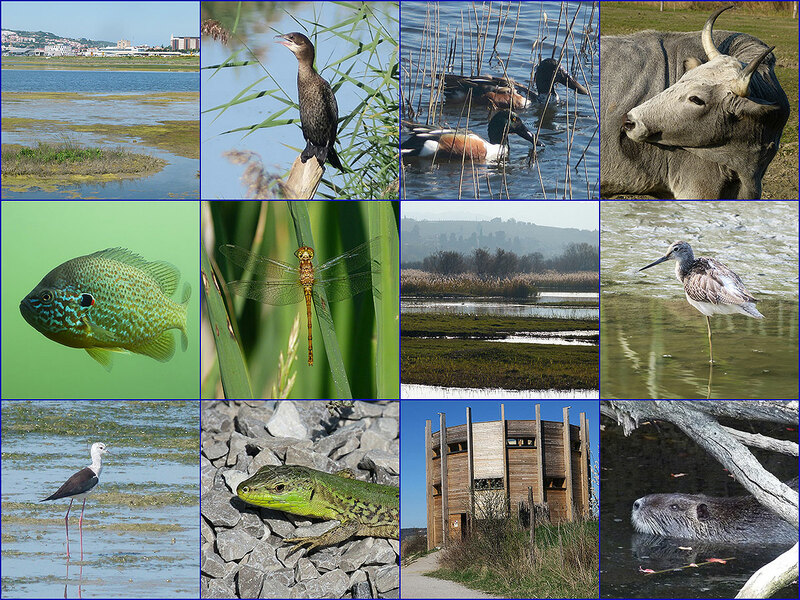 Reclaimed nature areas like Škocjan bay are an obvious success for nature conservation. They are very attractive to visitors and offer crucial habitat to birds in a man-made landscape. Similar wetlands along the Adriatic sea are all actively managed for nature conservation in one way or another. Without them, we would indeed lose part of the biodiversity in the region. However, not all “nature” can simply be re-created when it is lost. This can be done only with area types which are naturally dynamic, like coastal bays and riverine wetlands. It cannot be done with old forests, peat bogs and mountains, because these need to have a history of undisturbed development. 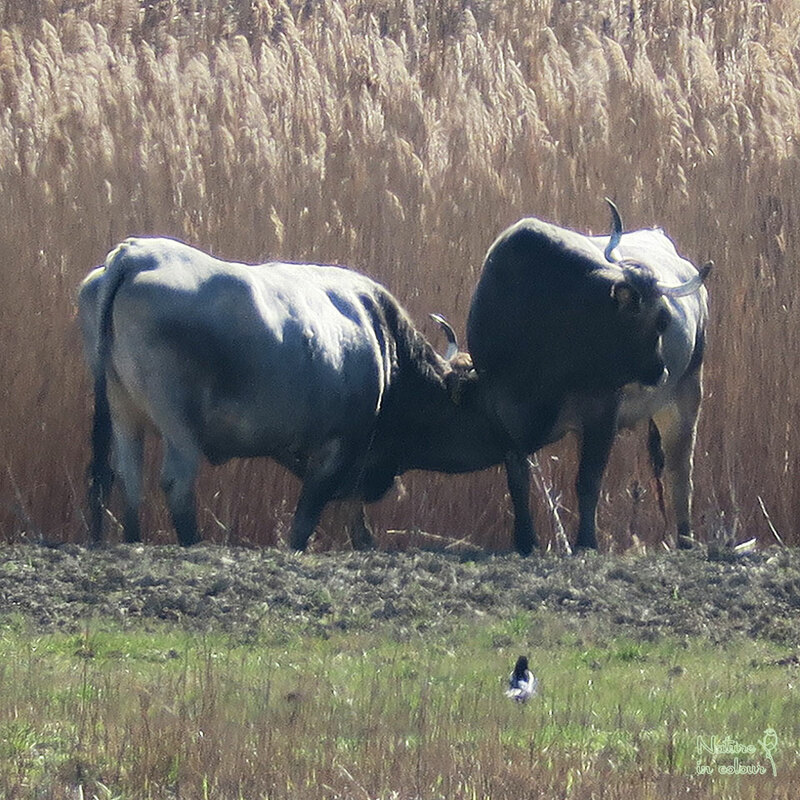 Even in the wetland reserves, a man-made area can only be inhabited by animals and plants with good dispersal abilities like birds. It may well be that some insects and plants can never return to Škocjan bay, no matter how well it is managed.